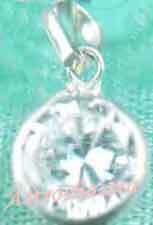 Highly energised pendant with the power to ward off all illeffects of malefic Sun in the horoscope. 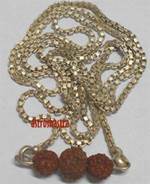 This power pendant has one Twelve mukhi rudraksh along with one two mukhi rudraksh and one five mukhi Rudraksh. Twelve mukhi rudraksh bestows progeny and removes the difficulties of life , protects one against theft, fullfilmet of hopes to the sadhak who wears it. It bestows the power of fearlessness. Saves against accidents. 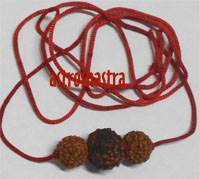 Two mukhi Rudraksh is worn for fulfillment of desires and for Mansik Shakti. It is good against cough , cold, mental trouble, unhappiness and poverty. 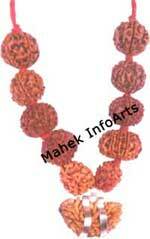 Five mukhi Rudraksh bestows on the sadhak popularity, all comfiorts, peace of mind and good fame. It clears way the sin of adultory and gluttony. Good against Jupiter affliction. 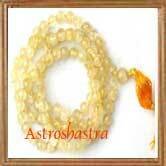 It give vital power, wealth, knowledge fortune and happiness. Therefore the combination of these three highly energised rudraksh beads in five mukhi rosary makes a perfect combination for a wearer.